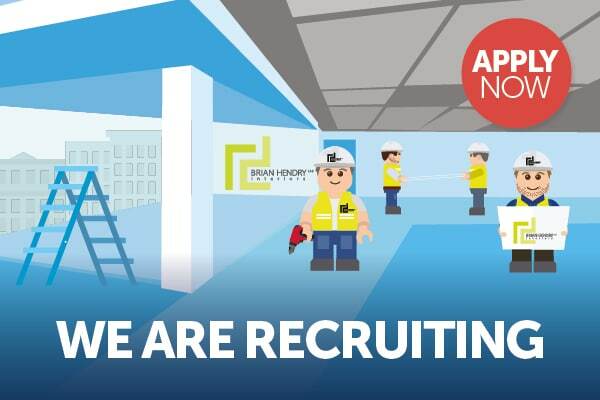 We are looking for an experienced candidate to become a valuable member of our specialist interiors company, working part-time in our Glasgow city-centre office. If you enjoy the challenge of a varied workload and are able to confidently communicate with a range of staff, business partners and clients, then we look forward to hearing from you! Company Integrated Management System: Assisting with the planning, implementing and monitoring of the company’s IMS (ISO9001, ISO14001 & ISO45001). Prequalification Questionnaires: Updating and issuing PQQs to customers, including CHAS, Constructionline and Builders Profile. Training: Updating and monitoring the Company Training Plan, including arranging courses, organising tests and attending Training Group meetings. Health & Safety: Maintaining the Company Health & Safety policy, which includes monthly site audits, accident investigation, annual reviews and external events. Employment: Managing and reporting on all employment issues from recruitment to performance reviews, appraisals and disciplinary procedures. Apprentices: Recruiting, supervising and coaching apprentices, which also includes associated record keeping and reporting. Administration: Maintaining company records and reporting processes. The responsibilities listed above are not exhaustive and a certain degree of flexibility is required, especially as duties may change according to the company’s overall direction and business objectives. If you are enthusiastic about engaging with the daily activities of this specialist interiors contractor, this post is currently open to all applicants. To apply, send a CV (max. 2 pages) and a covering letter (max. 1 page), which discusses how your previous experience has prepared you for this role, to enquiries@bhinteriors.com. ** This is a part-time position and we are willing to discuss flexible working arrangements with candidates. Salary to be negotiated in line with experience.